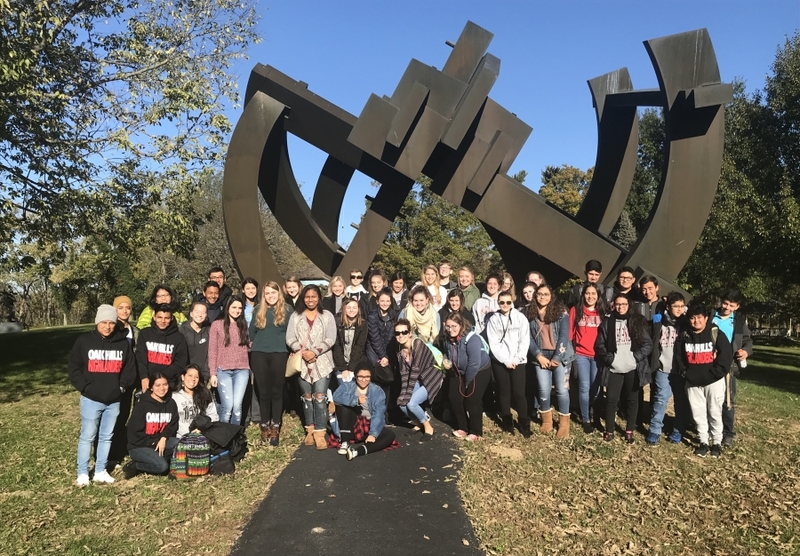 On a brisk Tuesday in October, Studio Art AP, AP Art History, and Sculpture students explored Pyramid Hill Sculpture Park with our 14 Guatemalan Exchange students from La Antigua. Part of the exchange is to experience life in today's America, which includes experiencing the rich cultural resources related to the visual arts that our Greater Cincinnati community provides. Pyramid Hill is a 300+ acre sculpture park with 60+ monumental outdoor sculptures displayed. The goal of the adventure and the park is to create dialog, collaboration, and contemplation amongst the setting of the sculptural art integrated with nature.